How to Conquer PowerPoint Formatting Graphic needs? How can you keep your audience focused on your presentation? Simple solution: One way is to find images on the web that relate to your ideas and another way is to create your own Images, shapes and charts to convey your ideas. The latter choice is a more daunting task for most of us. However, the best type of visual content is one that you create on your own. The problem arises when you are chasing the clock. It is then that creating your own shapes and images can be very stressful. Especially if you don't know the tricks and shorcuts in PowerPoint Formatting. Making shapes can be a simple and quick task using the shortcuts and methods compiled in this article. The tools like Drawing tools and Shape tool come handy when creating visual content in PowerPoint. Knowing the shortcuts to these tools is mandatory to acquiring the skills required to make original images, pictures, art or any visual element quickly. The first thing you need to learn is how to create a shape. 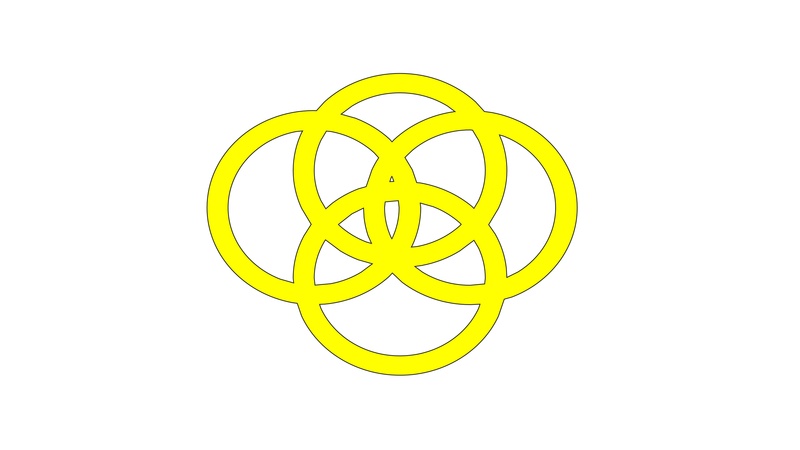 Let us take an example of creating a simple shape of a 4 overlapping rings and learning the basic features such as Merging, Subtract and Union. Firstly, insert a circle and and size it to be fairly big. Then you need to make a second circle with consistent proportions. So the best way to achieve this is to replicate the first circle. Simply, select the first circle and then drag it while holding the CTRL key. Once this is done you need to size it down keeping the proportions consistent. Press the Shift key and move the cursor to the corner of the handles of the circle and drag according to the size you want. Now to get the alignment right, you need to drag the smaller circle inside the bigger one and then select both the circles using CTRL key; then go to Format -> Align -> Align Middle so the circles can be aligned uniformly. The next part is getting the circular cut-out in the center to reveal the ring. When clicking the Merge Shapes drop-down you will see five choices: Combine, Union, Intersect, Fragment, and Subtract. You can hover over each option to preview what each does. 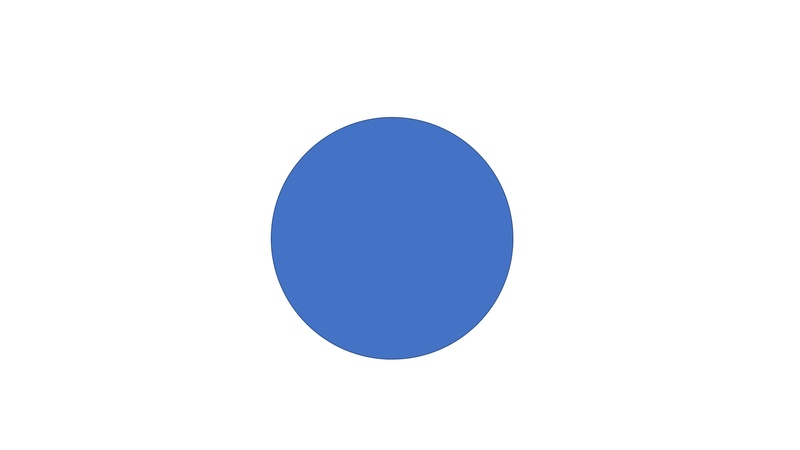 The order in which you select the circles matters—the first circle you select is the part that remains when you click Subtract, while the second shape is cut out. You can make two more copies using the Ctrl+drag trick. Move them so they overlap in the middle. Then group both of them together. Align them in the middle and center. Next duplicate this grouped shape to get a similar shape. Rotate this second shape by 90 degree and get them to allign in the center and middle. Finally group all the shapes together by selecting the first shape and the second one to form a 4 knot shape. While working with shapes and other objects, use the shift key while resizing them to keep the proportions consistent. This has been shown useful while resizing a circle as in the above example. Sometimes having an Object with a lot of formatting applied to it can be a tedious task to replicate on another object if you are manually applying one format at a time. Instead there is a simple procedure to accomplish this in a few steps. Click on the Object whose format you want to copy and press CTRL+Shift+C to copy all of its formatting. Next, click on the object that you want to apply the formatting to and press CTRL+Shift+V to past the formatting to the desired object. This feature can be used for any Shapes and also slide thumbnails (to copy theme from slide to slide). For grouping Objects together, you can select the objects that you want to group and press CTRL+G. To ungroup them you can select the grouped object and press CTRL+Shift+G. When inserting Lines you can ensure that they are Horizontal, Vertical or at 45 degree angle by pressing the shift key while dragging the line. To insert a SmartArt you need to press Alt, then N and then M to open the SmartArt dialog box. Select the type of SmartArt you want. You can draw shapes in PowerPoint from the keyboard without using the mouse. These shortcuts can save a lot of time when using the drawing tool if you are using only the keyboard. 2. Press N key to activate the insert tab. 3. Then press the S and then H. The shapes menu will appear. 4. Navigate with the arrow keys to highlight the shape you want. 5. Now press CTRL + Enter so the shape will be added on the slide. 6. To format the shape Press Shift + F10 to activate the Format options tab. Now you have got the basics to creating original Visual content in PorwerPoint. Using the tips and shortcuts above will not only give you the confidence to handle any image requirements in your Presentation but can also increase your curiosity to learn more on the tools and their other features. Knowing you can quickly create your own images can help you become a better presenter who can grab your audience's attention. Have fun and impress your audience.